So, it is November in the Colorado high country and winter should be here, any day……. right? Well last week it was 70 F. and no clouds and no wind and no snow to ski on. I planned to work all day till 2 friends, John and Joel called to go paddle. It took me about 1 second to decide that a good padle would be the best thing to do. Luckily the new Pyranha Ammo just came in and everyone wants feedback. Heck that is in my job description. So I unpacked one and outfitted it to me (in about 5 minutes) then collected my gear and it was off to the river. What a great day. White water, warm gear, and funny friends. No epic journey, just a great afternoon on the water. No others, just us. It is a reminder to those of you that have this type of resource in your back yard. Use it, it is fun and always makes you feel that much better once you have paddled. Plus I realized tht Pyranha Ammo is great concept. The first true Hybrid. Small and easy to manuever. Agile, fast and forgiving. And surfs well. All in a dry packaget that fits on your car with ease. Plus I can carry it by myself. Nice work Pyranha. 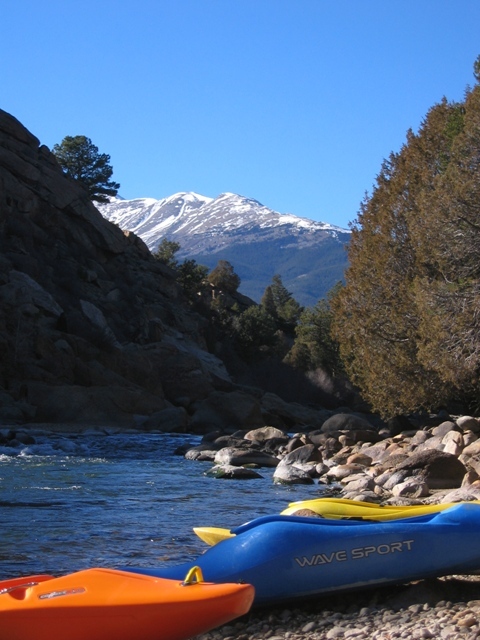 Also the new play waves in Buena Vista are great, even at low flows. BV now has 3 features and plans on doing a fourth this April. Great work Harvey and REP.
Come to Buena Vista. We got the room and whitewater, even in November. PS. It is cold and snowing today, time to find my skis. Right on Don Earl! You shoud also check out the long run…Pine Creek to BV. 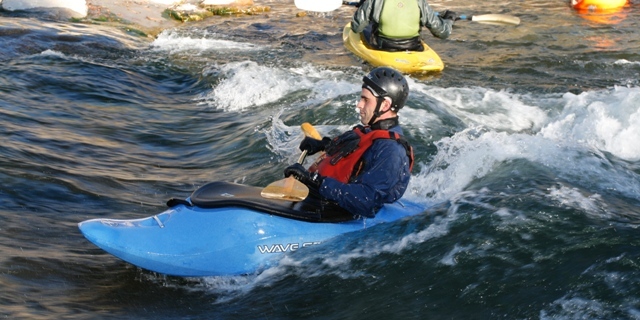 Take that NRS drysuit but its a great way to get some exercise and cover some distance. Those play holes should be great with a little more water. happy skiing! I have never left BV. What is pine creek? Sounds like a resturante.